Steve Ballmer, former Microsoft CEO, had such a tough time finding government data for his philanthropic work that he's created his own database -- called USAFacts. 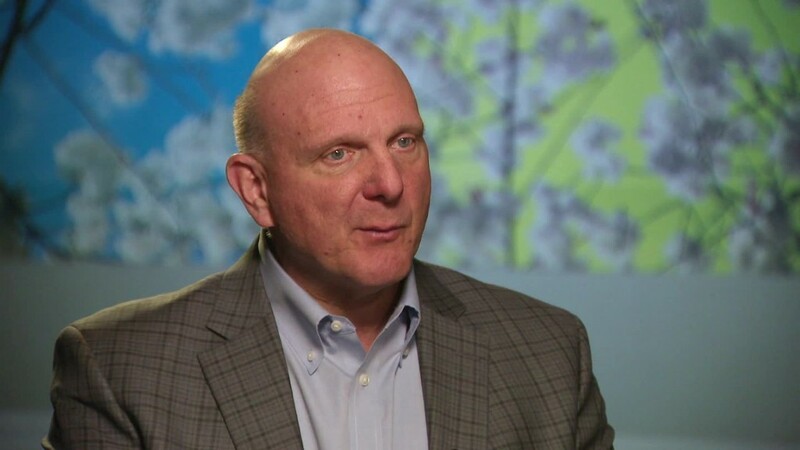 "What we're trying to do now is create a foundation for a more fact-based discussion about what's going on with government in our country," Ballmer said on CNBC's "Squawk Box" on Tuesday. "This is really a starting point. We need more data." According to its website, USAFacts bills itself as "a first-of-its-kind platform to help interested citizens learn the facts about government in a comprehensive, nonpartisan way." Ballmer started the project, he said, because he wanted to access government finances in the same way that he could access information on his corporate competitors by reading their earnings reports. "I said, 'Where the heck is the 10-K?'" Ballmer said during the CNBC interview, referring to public companies' quarterly financial reports. "No such document exists [for the government.]" But now it does. According to USAFacts government revenue totaled $5.2 trillion in 2014, the most recent year for such data. Some 60% of that is from the federal government, and the rest is from state and local governments. And Ballmer was surprised to learn 23.2 million people work for the government in some form, for example. But his biggest surprise of all was how hard it is to find such seemingly simple information. "I thought more of it would be summarized someplace," he said. Ballmer said he was motivated to create USAFacts after he retired from Microsoft (MSFT) in 2014. In trying to help his wife in her philanthropic work for disadvantaged kids, he was frustrated by how difficult it was to determine how much the government spends on education and Medicaid. "Where does the money go and what kind of outcome does the government get?" said Ballmer. "Government should run itself by government numbers, just like a private company should run itself." He said that one of the many facts he discovered is that 9% of all U.S. bridges are "structurally deficient" -- though that's an improvement from 1980, when that figure was 27%. "Things are getting better, but the question is: Are they getting better fast enough?" Ballmer said. "There are kids who, by virtue of where they're born, are trapped in poverty. That's not getting any better." He told Andrew Ross Sorkin of the New York Times that he spent $10 million creating the database by hiring a team of researchers in Seattle and providing a grant to the University of Pennsylvania. Ballmer, who also bought the Los Angeles Clippers basketball team for $2 billion as part of his post-Microsoft career, said that he has "a lot more work to do" on USAFacts, which crashed during his television appearance.